If You’ve come across this page chances are you already know how important SEO is to an eCommerce store. Especially if your store is running on BigCommerce. Without SEO, your site won’t get the traction or results it deserves. With 1Digital Agency, you’ll get a BigCommerce partner that has a team of elite designers, developers and SEO experts that will work together to optimize your onsite content, title tags, product descriptions, images and more for a powerful site that boosts and maintains your rankings. We’re a top BigCommerce elite partner, so you can trust that we know the BigCommerce platform better than any other digital agency. Search engine optimization (SEO) can either make or break your eCommerce site. At 1Digital Agency, our BigCommerce SEO experts know the difference between black-hat and white-hat SEO techniques. Along with our back-end and on-page optimization, site speed analysis, and keyword research, we also have some of the best copywriters who can adhere to the voice you want to speak to your consumers. We create both offsite SEO content and onsite blog posts that are informative and engaging to drive traffic to your site by utilizing backlinks to get your site ranking high on search engine results pages. Since BigCommerce SEO is one of the pillars that 1Digital stands on, we’re confident we can help improve your organic SEO rankings with our expert abilities. Why choose us as your BigCommerce SEO Expert? 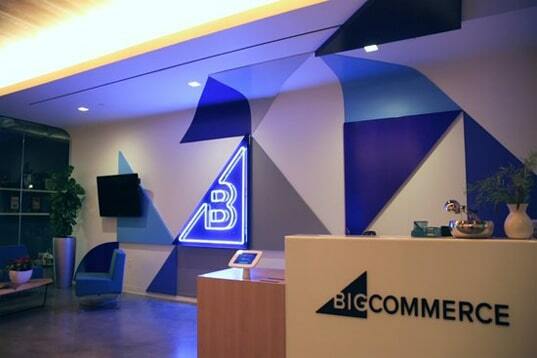 Simply put… We rank BigCommerce stores better than the rest. We’re one of the top BigCommerce digital agencies in the country that handles BigCommerce SEO services, and we’re certified Elite BigCommerce partners. Our BigCommerce SEO marketing team knows this platform inside and out, and our work speaks for itself. Review our SEO case studies to better understand our impact. As Elite BigCommerce partners, our designers, developers and SEO team work closely with BigCommerce on a day-to-day basis to create custom designed eCommerce websites that are user-friendly, generate traffic, and convert more. Our BigCommerce SEO experts can create a custom SEO campaign that performs well to help navigate Google’s search algorithm. Since our eCommerce SEO team has been involved in so many BigCommerce projects, we know the do’s and don’ts for the best overall performance and can take advantage of our years of eCommerce SEO experience. We designed our proprietary BigCommerce SEO strategy to navigate your site towards the top of SERP rankings to bring in a higher traffic volume and user engagement for all aspects of your site resulting in a higher conversion rate. We have the ability to maximize BigCommerce SEO activities since we have years of experience in digital marketing. We are also BigCommerce Elite partners with hundreds of BigCommerce stores under our belt, so we can offer you the best in SEO friendly website design. We’re a certified shop with certified BigCommerce developers. All of our developers are proficient in BigCommerce development and can create/alter a site that is optimized for SEO. You need the correct structure and code on your site, and our elite experts can help you get there. We’ll build a custom website that works for both you and your customers! Working with 1Digital means that you’re working with a digital agnecy that understands both the importance of custom design and SEO. A site with great SEO, but a lack of a good user interface or design will translate into a bad conversion rate. A good custom designed website is just as important as great SEO. Marketing your website through high quality, relevant, and engaging blog posts, video presentations, infographics and other types of media exposure is critical to getting recognized. We provide excellent content written by expert writers who have one thing in mind, SEO! Expert BigCommerce services: Employing the use of BigCommerce experts to design and develop your BigCommerce store all while utilizing the right SEO balance to boost your rankings is crucial to building a successful eCommerce store. A website without a great design falls short of customer expectations. Choose from one of our beautiful templates, or create a professional looking BigCommerce custom web design with our talented web designers. Because it is a hosted platform, BigCommerce development can be limited. Access and information is not always readily available. With 1Digital, you get developers skilled in navigating the platform and creating solutions. Don’t just get any agency to build your eCommerce store. Get a BigCommerce certified expert agency like 1Digital to handle all aspects of your online store from design and development to SEO. We’re premier partners for a reason! 1Digital will stay on top of your BigCommerce project and make sure that, as BigCommerce evolves, so does your site. It’s all about hiring the right team with the right experts. Once you figure that out, you’re on track to winning with your platform and your business. Whether you know exactly what you need or might have trouble articulating what you think is an advanced request, contact our BigCommerce SEO team so we can help. We’re a team of professional digital marketers that are ready to help you be where your customers are online. We’re known in the industry for our top-notch eCommerce SEO campaigns, and results yielded by them. Our team members have been optimizing SEO campaigns since 1999 and eCommerce has been the focus point. We’ve been working on BigCommerce since 2012. Once hired, we’ll put together a plan for your BigCommerce SEO campaign that will make the difference between the 1st page and the 10th page. Our eCommerce SEO results are real, and create real impact. Contact our genius Shopify SEO team today!